But it's possible that the Cubs will trade him, perhaps as soon as this winter. 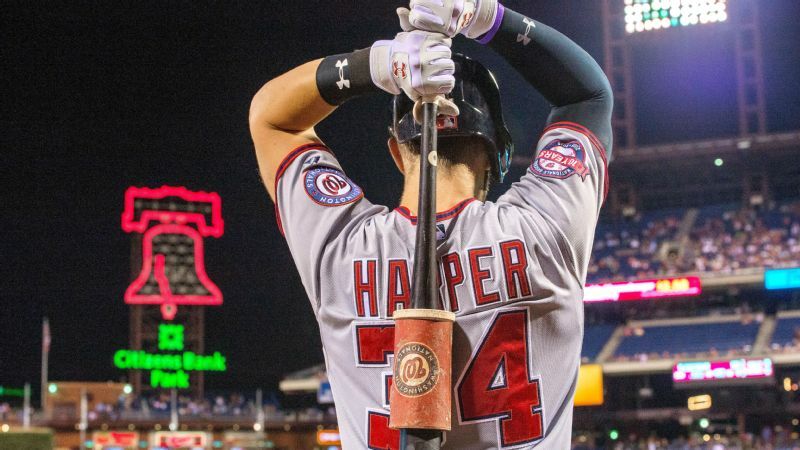 As part of their early offseason discussions, according to sources, the Cubs have indicated to other teams they are willing to discuss trade proposals for almost all of the players on their roster and those sources say that includes Bryant, who struggled in 2018, batting .272 with 13 homers in 102 games. Bryant went on the disabled list twice with left shoulder trouble. 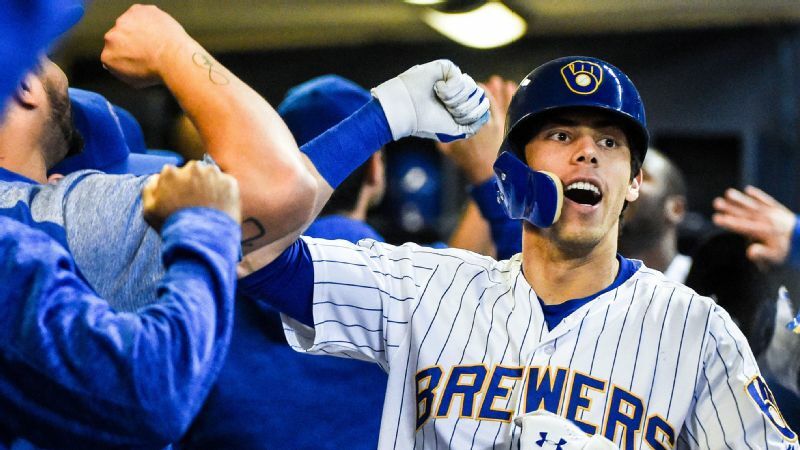 NL Central offseason preview: Can the Brewers do it again? Past efforts to reach a long-term agreement with Bryant have not advanced -- the Cubs made a significant offer last winter without a deal being concluded -- and the third baseman, who turns 27 in January, is about to get much more expensive as he moves toward free-agency eligibility after the 2021 season. "We've never operated with untouchables," he said. "It sends the wrong message. Given what we're trying to accomplish, it would be virtually impossible to envision the deal that would make sense to move them. I just don't believe in untouchables. Why limit yourself?" After the 2016 World Series, it seemed that the Cubs might have a chance at a dynasty, with an incredible core of young position players -- Bryant, Rizzo, left-handed slugger Kyle Schwarber, middle infielders Addison Russell and Javier Baez, and catcher Willson Contreras. But the Cubs have not played to expectations in the past couple of seasons, and there has been concern within the organization about the clubhouse culture since the 2016 championship season. The team has seen several coaching changes the past two winters, and after Chili Davis was fired as the Cubs' hitting coach, he told ESPN Chicago, "I wish the Cubs well. Things didn't mesh easily or all the time with the players. I have no hard feelings." A philosophical disconnect seemed to develop in Davis' working relationship with Bryant early in the season. Davis told the Chicago Sun-Times that he would not blame himself for his firing, and offered good wishes for the next hitting coach. "Hopefully, he has better success at this than I did," said Davis. 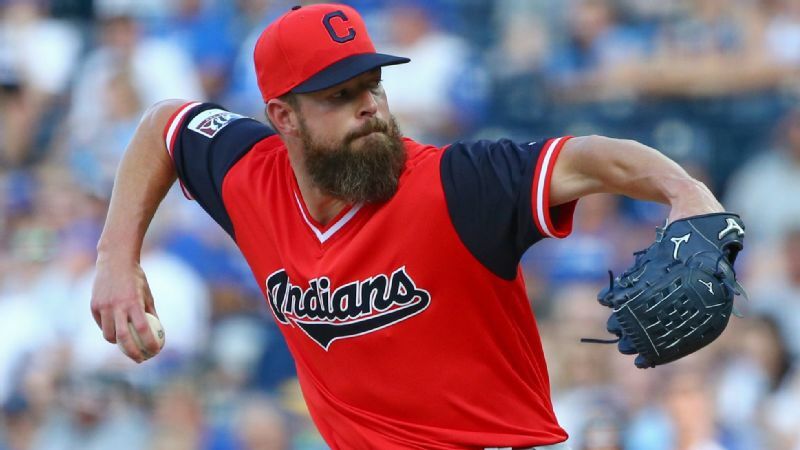 "But regardless of who's there, certain players there are going to have to make some adjustments, because the game's changed, and pitchers are pitching them differently. They're not pitching to launch angles and fly balls and all that anymore. They're pitching away from that. "They're going to have to make that adjustment whether I'm there or not." Rival executives believe the Cubs have little payroll flexibility with which to operate this winter, and Epstein mentioned the need for the organization to bolster the club's farm system. According to MLBTradeRumors, Bryant will likely get something in the neighborhood of $12.4 million in arbitration. A trade of Bryant now could theoretically yield young, cost-controlled players that might help the big-league team next season or beyond, and carve out more financial room in the team's budget to make other moves. David Bote filled in at third base for the Cubs during some of Bryant's absences, hitting .239 with six homers, and if Bryant was traded, he could be part of any solution at the position for manager Joe Maddon. Bryant's career started amid some controversy, and sharp words from his agent, Scott Boras. 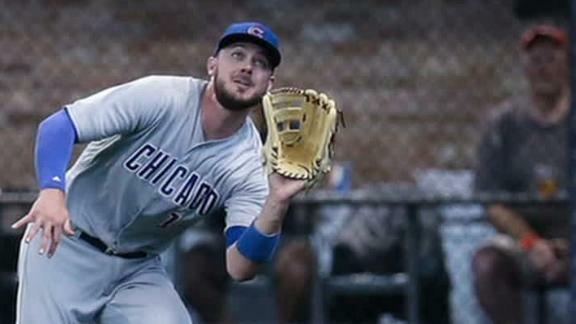 In 2014, Bryant hit .325 with 43 homers in 138 games in the minors, but he was not on the Cubs' Opening Day roster. It is a common practice in Major League Baseball for clubs to keep elite prospects in the minors in order to delay their free-agency or arbitration eligibility. Because Bryant opened 2015 with Class AAA Iowa and didn't make his big-league debut until April 17, he is eligible for free agency in the fall of 2021, rather than 2020. At that time, Boras said, "Cubs ownership has a choice. Are they going to present to their market that they are trying to win? Tom Ricketts said they were all about winning." In his time running the Red Sox and Cubs, Epstein has aggressively traded big stars when he felt it necessary -- most notably dealing Boston icon Nomar Garciaparra in the middle of the 2004 season before the Red Sox went on to win the World Series, and in 2008 when he swapped Manny Ramirez to the Dodgers just before the trade deadline.